Swindon Borough Council obtained the order against the men, who have regularly been seen drinking alcohol in public, at Swindon Magistrates’ Court yesterday (2 April). 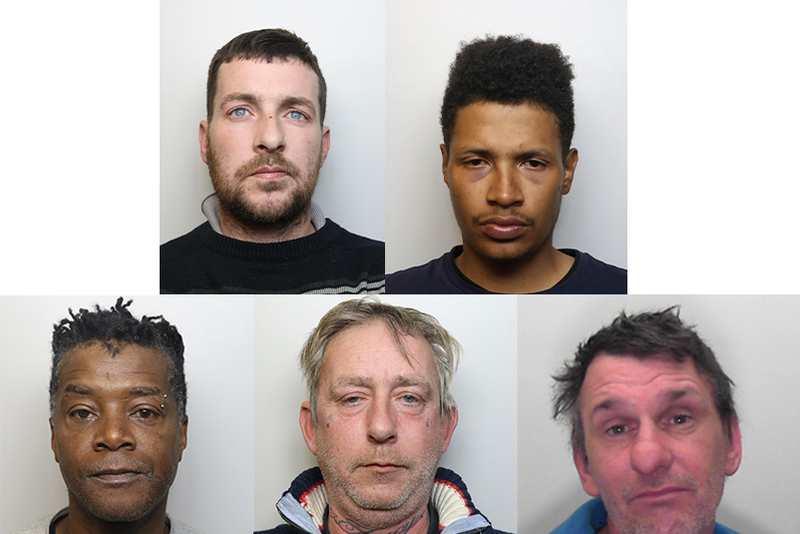 Luke King, Nathan Hagen, Keith Ferguson, Paul Hillier and Thomas Fox are now banned from entering Theatre Square next to the Wyvern and are also not allowed to be in Wharf Green, Swindon Bus Station and Newbridge Square. The injunction also precludes them from entering Havelock Square and Havelock Street. They are also not allowed to be in possession of alcohol in the town centre. In an effort to curb their anti-social actions, the five men are not permitted to shout or swear aggressively and act in a foul, abusive or threatening manner towards any person in a public space in Swindon. The applications were partially contested by both Mr Ferguson and Mr King. If any of the men are found to be in breach of the order they will be arrested. A sixth man was excluded from the injunction after turning his life around by engaging with the Council’s housing team. He is now off the streets in Housing First accommodation and has abstained from alcohol since mid-January. District Judge Hatvany heard how the men’s loutish behaviour had included incidents of urinating in the street, being verbally abusive and showing aggression towards members of the public and the Police, fighting in public, and regularly being found to be drinking in public. The court also heard witness statements about severe disorder being caused by the men at Swindon Bus Station and adjacent taxi rank. On one occasion Mr King also tried to help himself to food at The Banquet restaurant in Regent Street. When he was told to leave he became so abusive that the worried owners of the business had to close the restaurant. Cherry Jones, Swindon Borough Council’s Director of Public Health and Community Safety lead, said: “The behaviour of these individuals was simply not acceptable and we have a duty to ensure that people are kept safe and are not subjected to the type of anti-social behaviour that was presented before the court. “Taking out an injunction like this is always a last resort because we want to work with people who need our help and support. Town Centre Community Co-ordinator PC Paul Bezzant said: “This is an example of great partnership working between the police and the local authority and we hope the public will welcome this court order. “We know how much this type of anti-social behaviour concerns, annoys and frustrates local residents, and we believe this will help make the town centre a more pleasant place for people to work, visit and socialise in. “We are committed to tackling anti-social behaviour and taking action against those who create these problems. We would encourage people to continue to report incidents, either to us or the council. Di Powell, Chief Executive of inSwindon BID, whose Street Team played a key role in gathering evidence for the injunction, said: “These individuals have had a detrimental impact on businesses and users of the town centre. We welcome these last resort measures which send a clear message that this behaviour will not be tolerated. Photos: (top, left to right): Luke King and Nathan Hagen. (bottom, left to right): Keith Ferguson, Paul Hillier and Thomas Fox.